Plastic pipe and tubing spring action cutter. 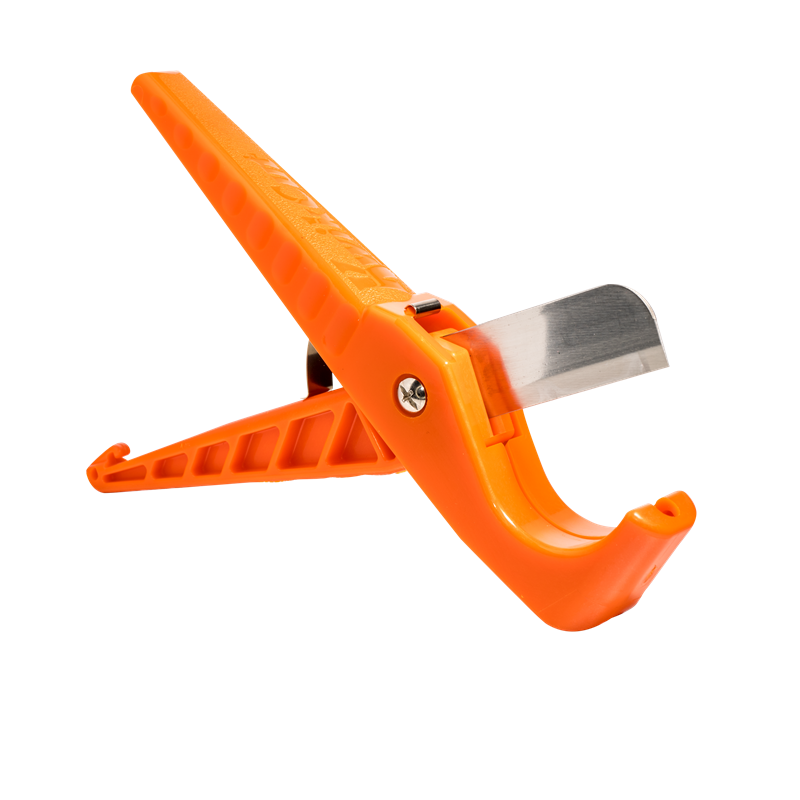 Features long lasting and replaceable stainless steel blade and provides a clean, straight cut. Suitable for cutting PVC, poly pipe, hose tubing, branches, rope, conduit and belts. 3mm - 32mm cutting diameter.